Sculpture Size: 5 X 3.75 X 7 in. 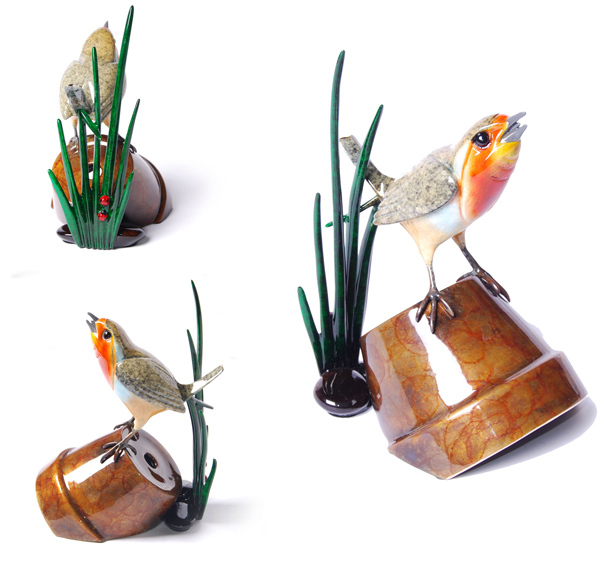 A beautiful English Robin sings his best morning song atop a half-buried flower pot. For bird lovers, garden lovers and cheerful souls everywhere!